Most Americans might not consider cows nearly as noble or important as, say, bald eagles - but in Nepal, the humble bovines have officially been granted the same level of esteem in that nation's heart. This week, the Nepalese government formally adopted a new constitution. While the document, which establishes Nepal as a secular republic, is being hailed as a victory for the country's religiously diverse population, the biggest winner from its drafting is not human at all. 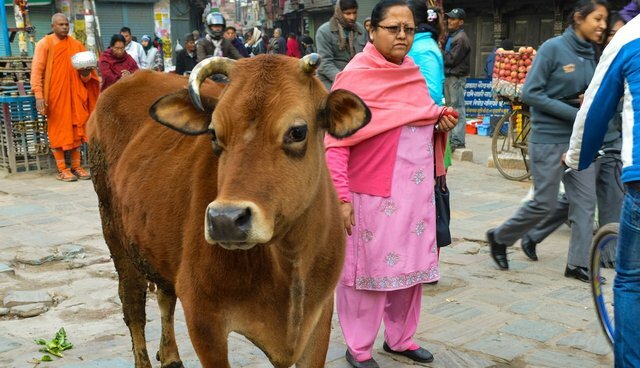 In a welcome gesture to Nepal's 21 million Hindus, for whom cows are considered sacred, the constitution granted them the highest honor an animal can receive - a distinction that comes with lifesaving benefits. "[We] have made cow our national animal," General Secretary of Nepali Congress, Krishna Prasad Sitaula, told the Kathmandu Post. "Now, the animal has constitutional protection and cow slaughter has also been banned." Across the border, in neighboring Hindu-dominated India, the slaughter of cows has been outlawed regionally. Politicians there are likewise advocating for a nationwide ban.